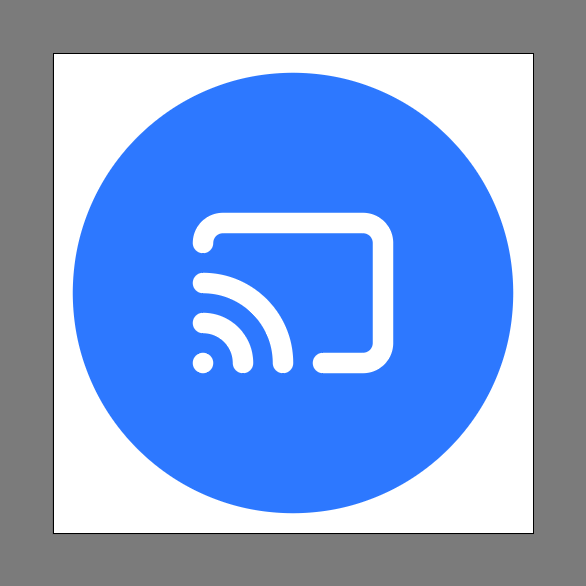 Welcome back to another Illustrator based tutorial, in which we’re going to learn how to create a simple cast icon, using nothing more than some basic geometric shapes that we’re going to adjust here and there. 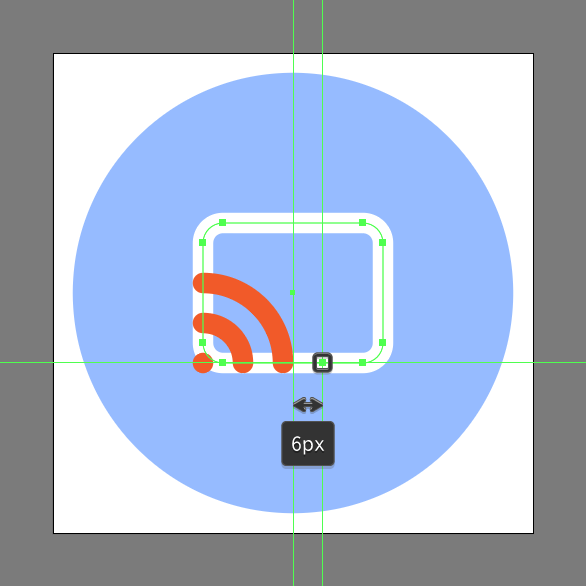 Once we’ve set up our project file, we can start working on the actual cast icon by creating its background using an 88 x 88 px circle, which we will color using #2979FF and then position to the center of the underlying Artboard using the Align panel’s Horizontal and Vertical Align Center options. 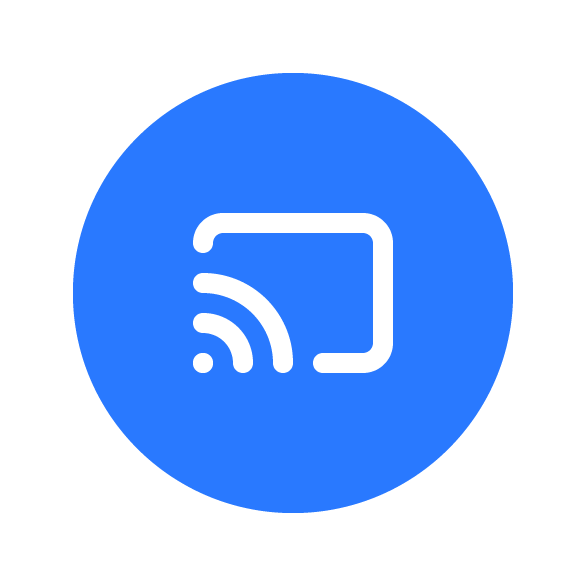 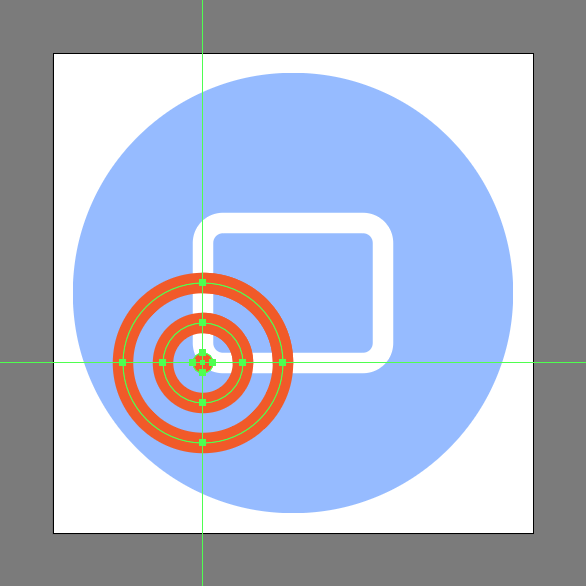 Add the main shape for the cast symbol using a 36 x 28 px rounded rectangle with a 4 px Corner Radius and a 4 px thick Stroke (#FFFFFF), which we will position to the center of the larger circle. 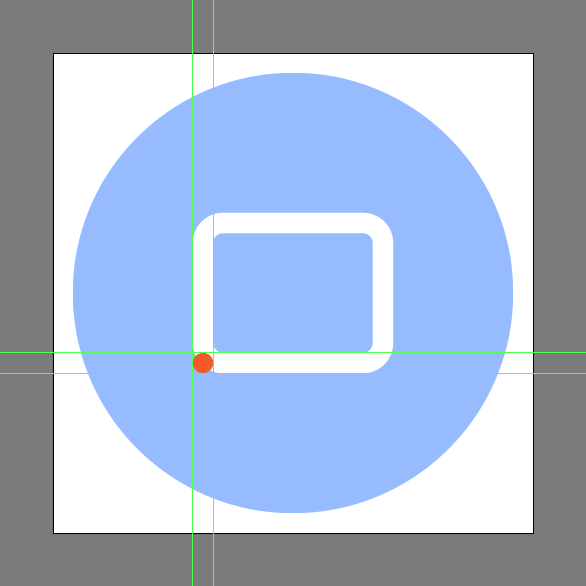 Create a 4 x 4 px circle, which for now we will color using a brighter color to be able to distinguish it from the larger shape, and then align to the rounded rectangle’s bottom-left corner. 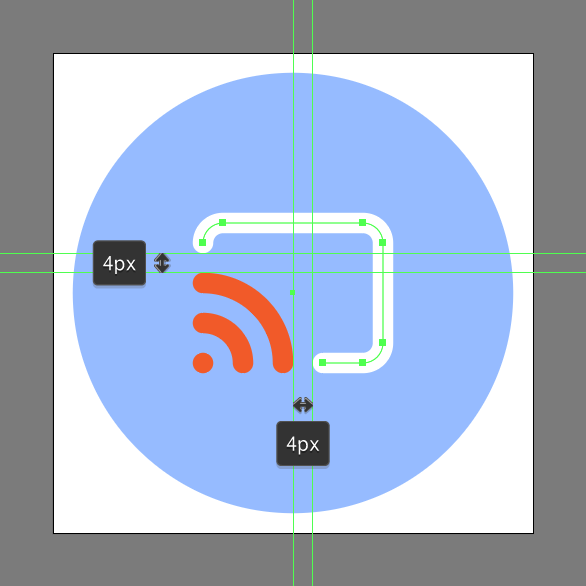 Once you have the smaller circle in place, add two larger ones using a 16 x 16 px circle with a 4 px thick Stroke, followed by another 32 x 32 px one, which we will center align to the smaller one. 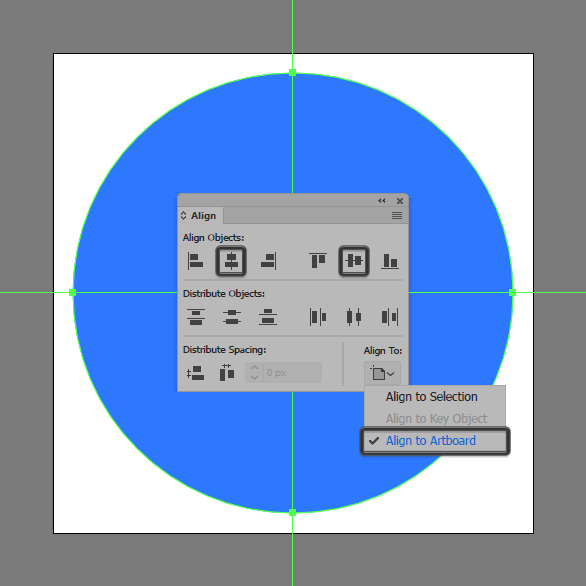 Open up the paths of the two larger circles, by selecting their left and bottom anchor points using the Direct Selection Tool (A), and then immediately removing them by pressing Delete, making sure to set their Cap to Round afterwards from within the Stroke panel. 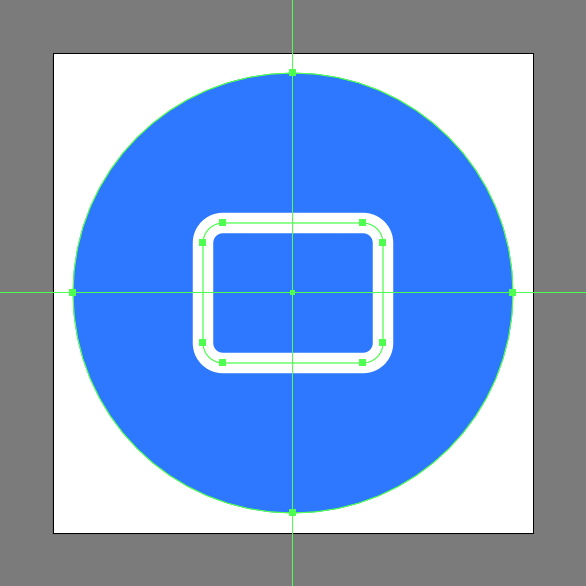 Adjust the shape of the cast symbol’s main body, by selecting the Add Anchor Point Tool (+), and then adding a new anchor to its bottom path, positioning it at a distance of 6 px from the larger circle segment. 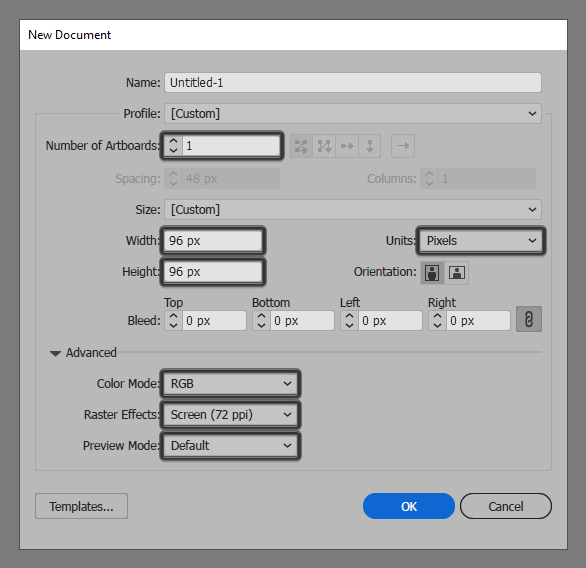 Open up the path of the shape that we’ve just adjusted, by selecting its bottom-left anchor points using the Direct Selection Tool (A), and then immediately removing them by pressing Delete, making sure to set the resulting Stroke’s Cap to Round. 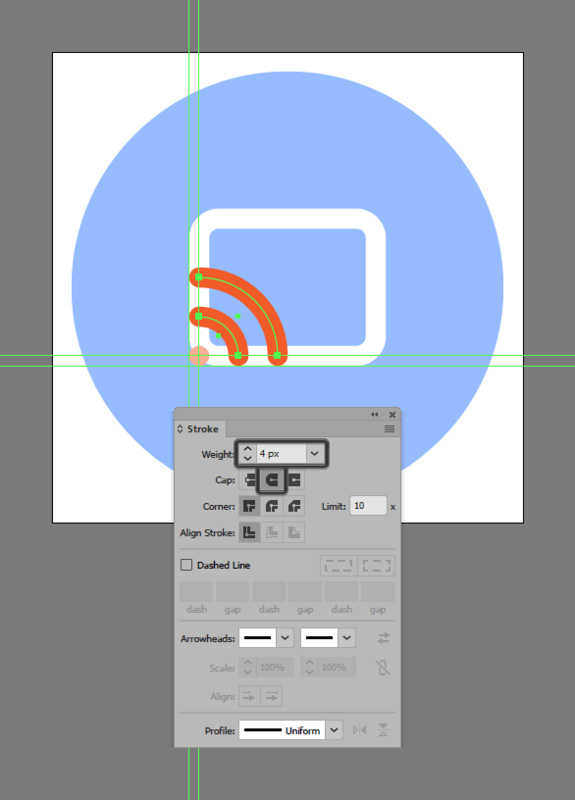 Finish off the cast icon and with it the project itself, by simply changing the color of the radio signal’s composing shapes to white (#FFFFFF), making sure to select and group all of the cast icon’s composing shapes using the Control-G keyboard shortcut, doing the same for the entire cast icon afterwards.